The price excludes 21% VAT (only applicable to orders from EU states). If you have a valid EU VAT number you will be able to enter it during the checkout for a VAT-exempt invoice. 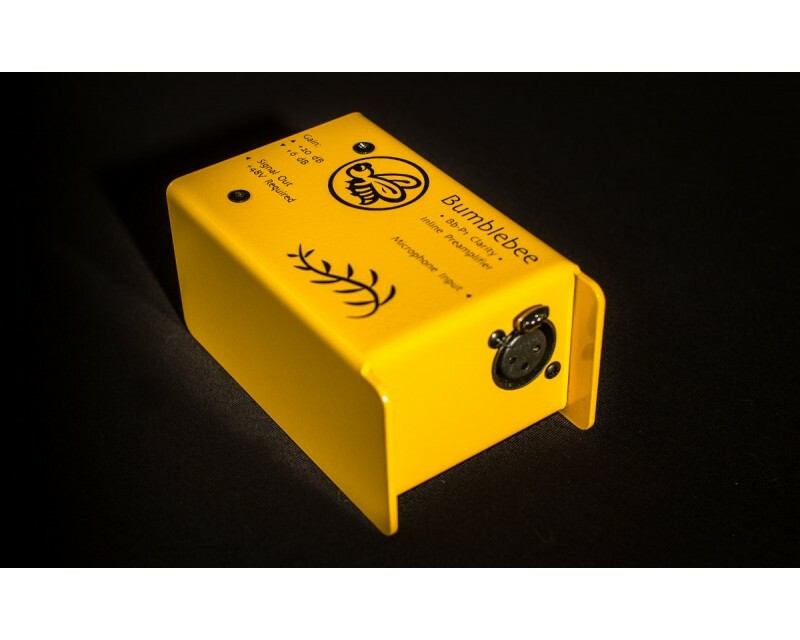 Bumblebee Bb-P1 Clarity is a fully balanced inline microphone preamplifier for ribbon and dynamic microphones. 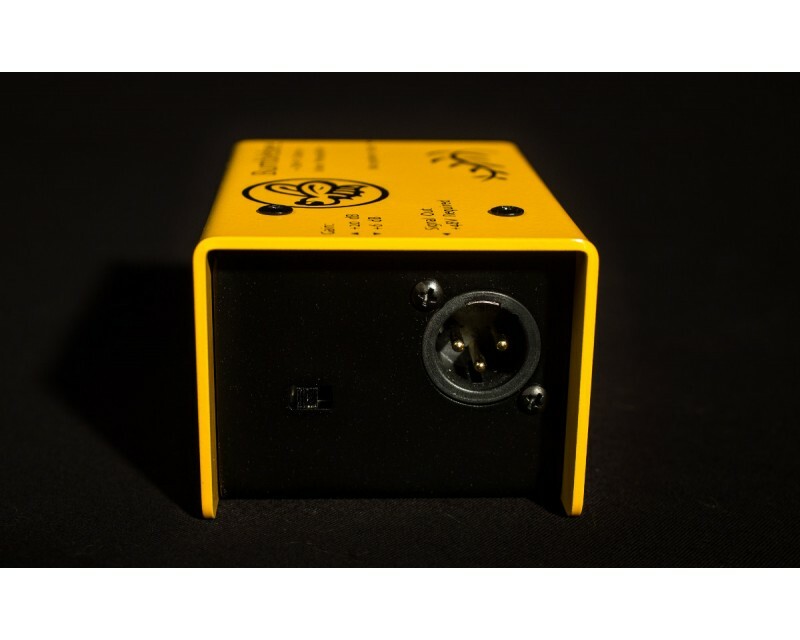 It is designed to provide an ultra-clean extra gain of +20dB (or +6dB) with very low noise floor and perfect impedance bridging before the main amplification stage (be it a stand-alone preamp, console or audio interface), which is particularly important when working with classical passive ribbon microphones. 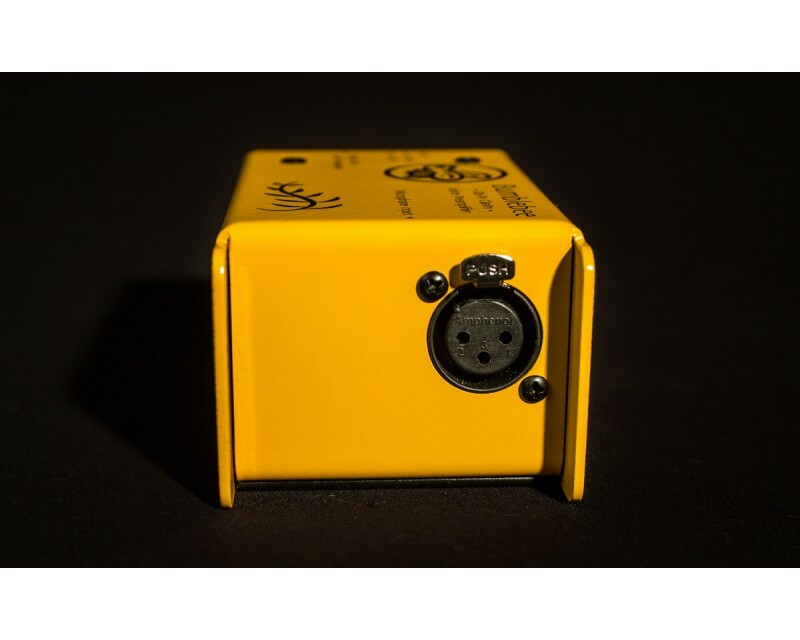 The output stage of the device is designed to have low output impedance in order to minimize the influence of wire capacitance allowing for very long cable runs without any audible signal degradation - perfect for stage applications. This inline preamplifier is mainly intended for work with ribbon microphones, but don't hesitate to try it with your good old SM57, SM58 or any other dynamic mic - most likely you will hear them the way you've never expected them to sound! 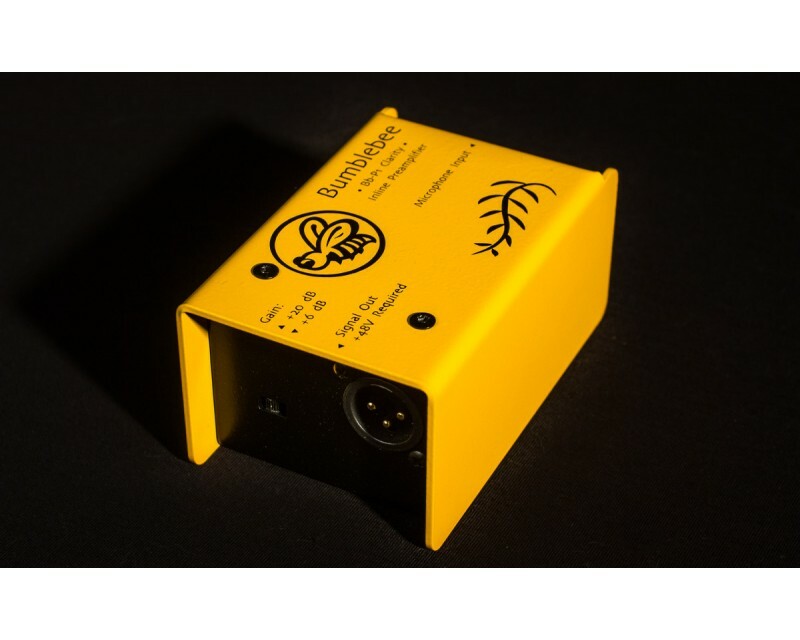 Bumblebee Bb-P1 Clarity is the essence of buffering circuitry. With its fully balanced topology and common mode rejection circuitry at the input, it provides a very high immunity to external interference and delivers the signal from any low output ribbon or dynamic microphone in its purest form. The input impedance of 4.7 Kohms was chosen to be a perfect balance, it is high enough to provide a proper loading for a ribbon microphone element, but on the other hand way not too high for RF interference to become a problem. 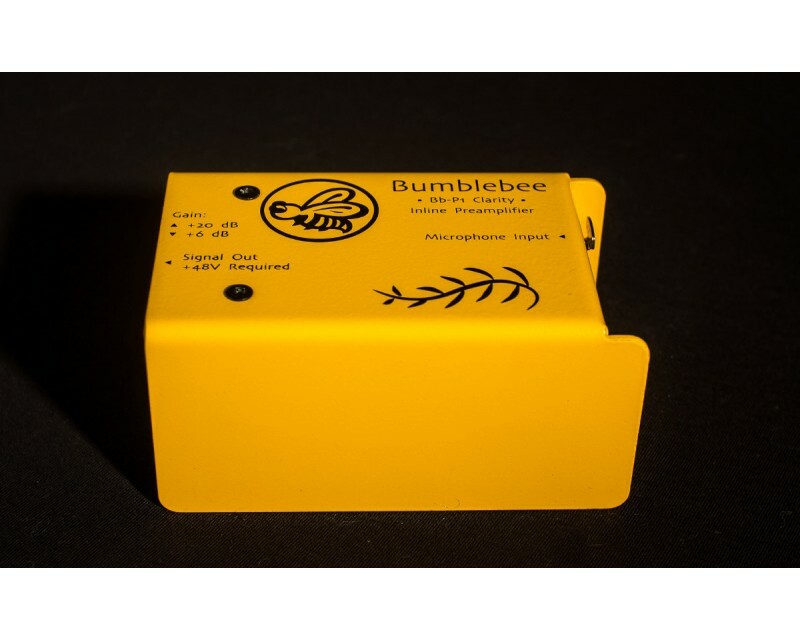 Bumblebee Bb-P1 is truly a transparent device, that's why it has its name - "Clarity". The THD figure is only 0.002% with the gain of +20dB and input signal of up to 30mV - perfect performance for recording most sources with ribbon microphones. For loud sources gain level can be switched to +6dB allowing up to 200mV (-12dBu) of input signal, while preserving reasonable THD level - enough headroom to handle the signal from a typical high output passive ribbon microphone at 130 dB sound pressure level (SPL). You hardly ever want more. Very low noise floor and aforementioned buffering properties of the device make it possible to record the low output ribbon and dynamic microphones using affordable audio interfaces, still achieving outstanding results due to perfect impedance bridging and extra gain of +20dB. The signal path of the device is balanced from very input to very output, it performs like if the cable run from microphone to receiving stage input was never interrupted! Just switch on the +48V phanton power and your console (or preamp, or audio interface) will receive the 10 times higher (+20dB) audio signal.